Many times we seek man for a word from God, which is helpful. But God wants us to go to Him. Hold onto My Word for it is life; it is seed to the sower; it is bread to the hungry. My Word will never fail you. It is alive; it is powerful; it is active; it is creative. Speak My Word. Speak My Word over your circumstances; do not speak the circumstance. But speak My Word over the circumstance. For My Word is greater. Call upon Me in your time of trouble (Jer. 33:3) and I shall show you great and mighty things you know not of. Call upon Me and I shall answer you, for I hear your cry unto Me. 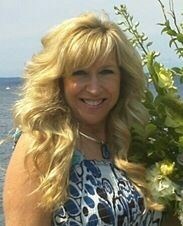 Linda Keough is the Travel Coordinator at the Spokane Headquarters. She and her husband, John, are the Regional Directors of Hawaii.